By Ruth Krauss, illustrated by Crockett Johnson, and translated by Argentina Palacios. The Carrot Seed (1945) in Spanish. Su mamá, papá, y hermano mayor le dicen "que no brotará," pero sin embargo el niñito cuida su semilla de zanahoria. Tambien disponible en inglés y como cancion. Translated by Teresa Mlawer. Harold and the Purple Crayon (1955) in Spanish. "Una noche, después de pensarlo mucho, Harold decidió ir a dar un paseo a la luz de la luna." Asi comienza el primer libro de Harold y su lápiz color morado. Sale a pasear, usando el lápiz a dibujar la luna y un camino por donde caminar. Harold y el lápiz color morado tambien disponible en inglés, italiano, finlandés, sueco, holandés, alemán, hebreo y chino. Harold et le crayon rose (2001). Translated by Anne-Laure Fournier le Ray. Harold and the Purple Crayon (1955) in French. "Une nuit, Harold sortit de son lit pour aller se promener au clair de lune." Translated by Anne-Laure Fournier le Ray. Harold's Fairy Tale (1956) in French. "Une nuit, Harold sortit de son lit pour aller se promener dans un jardin enchanté. Il prit son crayon rose avec lui, et il emmena la Lune aussi." Translated by Anne-Laure Fournier le Ray. Harold's Trip to the Sky (1957) in French. "Une nuit, Harold se leva pour aller boire. Il prit la Lune pour éclairer le noir." Translated by Elena Spagnol. Italy: Oscar Mondadori, 1970. 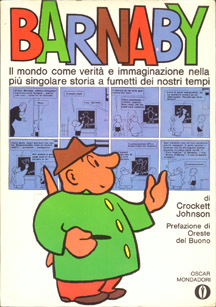 Barnaby (1943) in Italian. Barnaby E Mr. O'Malley. Translated by Beppi Zancan. Italy: Oscar Mondadori, 1976. Barnaby and Mr. O'Malley (1944) in Italian. 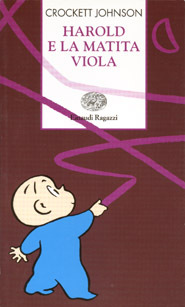 Harold e la matita viola (2000). Translated by Giulio Lughi. Italy: Einaudi Ragazzi, 2000. Both Harold and the Purple Crayon (1955) and Harold's Trip to the Sky (1957) in Italian. "Una sera, dopo averci pensato sopra un bel po', Harold decise di fare una passeggiata al chiaro di luna." Ich mach mir meine eigne Welt. Freiburg (Germany) and Olten (Switzerland): Walter-Verlag, n.d. Harold and the Purple Crayon (1955) in German. Paultje en het paarse krijtje. Translated by Annie M. G. Schmidt. Amsterdam: De Bezige Bij. 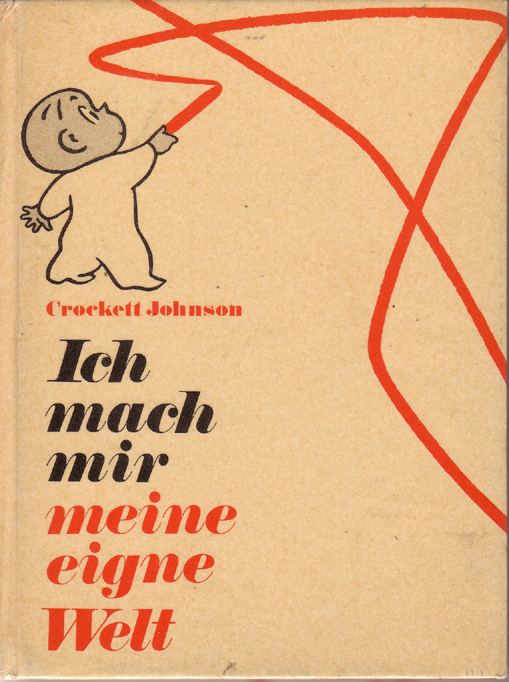 Harold and the Purple Crayon (1955) in Dutch. "Oop een avond dacht Paultje: Weet je wat, ik ga een eindje wandelen in de maneschijn." Translated by Annie M. G. Schmidt. Amsterdam: De Bezige Bij. Harold's Trip to the Sky (1957) in Dutch. "Op een avond kwam Paultje uit bed om een beetje te drinken. Hi zorgde gauw voor een maan, om geen Griezelige Dingen te zien in het donker..."
Both Paultje books have been posted on this website <http://www.swi.psy.uva.nl/usr/beckers/paultje/paultje.html>. By Bernadine Cook, illustrated by Crockett Johnson. The Little Fish That Got Away (1956) in Dutch. 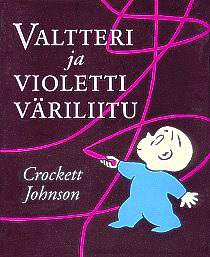 Harold and the Purple Crayon (1955) in Finnish. "Eräänä iltana Valtteri mietti pitkään ja päätti sitten lähteä kuutamokävelylle." 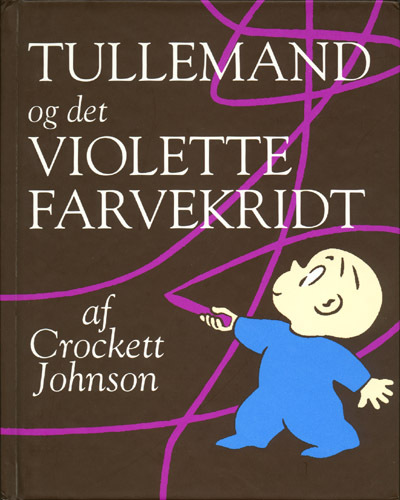 Harold and the Purple Crayon (1955) in Danish. "En aften besluttede Tullemand, efter at have tænkt over det et stykke tid, at gå en tur i måneskinnet."
. Tel Aviv, Israel: Am Oved Publishers, 1970. Republished 1994. 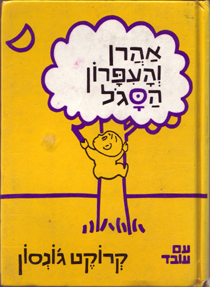 Harold and the Purple Crayon (1955) in Hebrew. (1987). 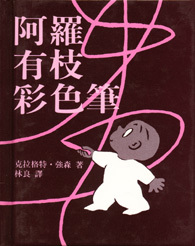 Harold and the Purple Crayon (1955) in Chinese.
. China: Hsinex International Corporation, 1989. Harold's Fairy Tale (1956) in Chinese.
. Japan: Banka Publishing Bureau. Harold's Fairy Tale (1956) in Japanese. 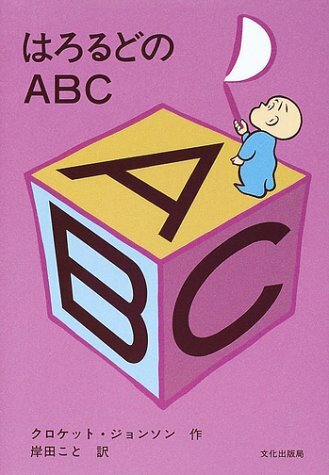 Harold's ABC (1963) in Japanese. By Bernadine Cook, illustrated by Crockett Johnson. 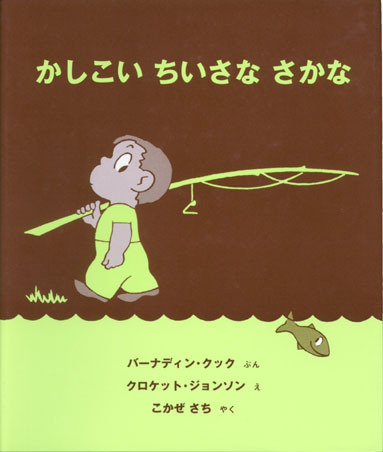 The Little Fish That Got Away (1956) in Japanese. Pelle och den röda Kritan. Stockholm: Natur och Kultur. Harold and the Purple Crayon (1955) in Swedish. Pelles äventyr. Stockholm: Natur och Kultur. Harold's Fairy Tale (1956) in Swedish. Below each image is the publisher and date of the cover represented. Full publication information can be found in the Bibliography. The rest of these pages are © 1998-2006 by Philip Nel. Read the Disclaimer. Last updated Wednesday, July 5, 2006.